At the Stirling GhostWalk we are regularly contacted by locals and visitors eager to share their own supernatural experiences and accounts of historical hauntings. Many are familiar tales rendered in infinite variation – which may account for the confusion and conflation of the legends of the Pink Lady and Green Lady. Others are refreshingly new to us. Either way, we’re happy for the feedback, especially if these stories are creepy, comic or couthy enough to be scripted and included in the show. Even after a quarter of a century, we’re still discovering new stories...or new twists on some very very old ones. One story more than any other is suggested for inclusion in our ‘Tales From the Stirling GhostWalk’, one whose absence confuses or confounds visitors. After all, it is the single most frequently recounted legend of supernatural Stirling on the internet. It is included in all manner of supernatural gazetteers, ghost-hunting guides and collections of quaint and curious Caledonian. It’s also a tale you will never hear told on the Stirling GhostWalk. 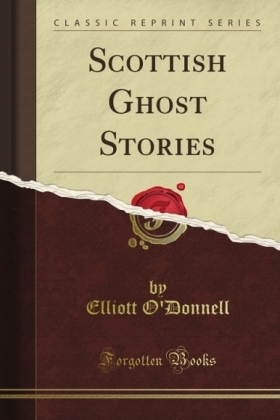 The story in question is that of ‘The White Lady of Rownam Avenue, near Stirling’, popularised in ‘Scottish Ghost Stories’, a 1911 anthology of ‘true tales’ compiled by the prolific Irish folklorist and ghost-hunter, Elliot O’Donnell. He describes the phantom as ‘a lady in white…whose death at a very early age had been hastened, if not entirely accounted for, by her husband's harsh treatment’. Bound in the tattered bindings in which she was buried, her apparition would appear in the shadowy woodlands surrounding the Rownam Manor House. Her spouse, referred to by O’Donnell’s source – a friend of a friend, whose first-hand account he presents in his book - only as ‘Sir E. C.’, was a local grouch, ‘held in such universal awe and abhorrence that we used to fly at his approach, and never spoke of him amongst ourselves saving in such terms as ‘Auld Dour Crab, or ‘The Laird Deil’. Were her glowing gnashers not noteworthy enough, The White Lady possessed a still more remarkable quality - exceedingly rare among the ill-starred pantheon of paranormal Stirling’s female phantoms - she’s smiling! As the White Lady approaches through the leafy shadows, the storyteller recalls, it became clear that she was not alone, for there ‘walking by her side, with one arm round her waist’, his face and figure illuminated with the light from her body’ – and, presumably, her remarkable dentition - ‘was Sir E.C. But how changed! Gone were the deep black scowl, the savage tightening of the jaws, and the intensely disagreeable expression that had earned for him the nickname of The Laird Deil, and in their stead I saw love--nothing but blind, infatuated, soul-devouring love - love for which no words can find an adequate description’. Next morning O’Donnell’s source tells us that all Stirling was shocked to hear that the reviled ‘Sir E.C.’ had died – he alone realising that it was sorrow and not malice which had manifest the old man’s misanthropy, and that his beloved bride, The White Lady, had returned to accompany him on his path from this world to the next. A fine romantic story, replete with the requisite twinge of tragic irony which was so favoured by O’Donnell’s Edwardian audience, who had not, as yet, lost their taste for the sentimental spooky tales of the previous century. There’s more than a bittersweet soupcon of Wilkie Collins to this tale. Why has The White Lady of Rownam Avenue, near Stirling’ never been featured in our show? Simple. There is not now and never has been a ‘Rownam Avenue’ or ‘Rownam Manor House’ in - or 'near' – Stirling. The tale appears nowhere in the local folk-record before 'Scottish Ghost Stories' was published, in 1911, and it does not resemble any other known ghost story or recorded character or incident in our history....and yet it is astonishing in its ubiquity! Those compiling the many websites which list The White Lady among our most famous phantoms, never seem to have stopped to check the detail’s of O’Donnell’s story. 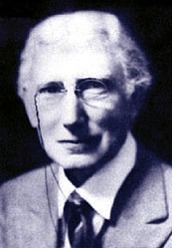 The writer was hailed within his own lifetime as ‘The Dean of Ghost-Hunters’, and many seem reluctant to question or criticise his reputation. Apologists for the Irish writer have occasionally been known to suggest that it was the ‘friend of a friend’ – a FOAF as they are known to aficionados of modern urban myths – who got the details wrong, and not O’Donnell himself. Modern folklorist James Robertson, writing in his own ‘Scottish Ghost Stories’ collection in 1996, observes that for Elliot ‘the most effective story-telling style was to create a kind of Chinese puzzle whereby one narrator introduced another who might introduce another, and so forth, hustling the reader with confidence and gusto from marvel to marvel, giving him no time for reflection’. Now, as stated elsewhere on this site, we are not Ghostbusters or Ghost-Hunters. We don’t aim to prove or disprove these tales, let alone claim that they are true. We merely aim to record them in a (hopefully) entertaining manner – be they myth, history, or anything in-between – as part of Stirling’s cultural currency. For all its charm, the legend of the White Lady has nothing to do with Stirling. There may well be a Rownam Manor House out there, somewhere, which might wish to reclaim the creepy chick with the Colgate smile....but it isn’t in the Burgh! We include the ‘famous’ tale of the White Lady on these pages because...well...because it is the tale whose absence we are most frequently asked to explain. How could we possibly overlook such a famous story?